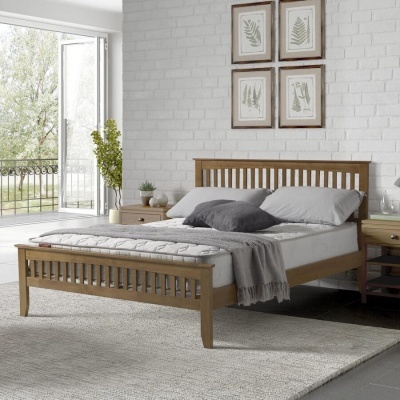 Robust bed frame with a stylish design that suits modern and traditional bedrooms. Fashionable grey washed finish has been uplifted with the whitewash oak tops. 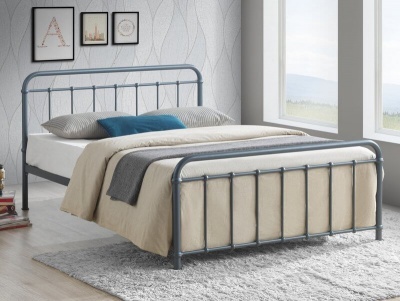 Chunky frame with curved slatted head and foot-boards giving the piece a lighter feel.